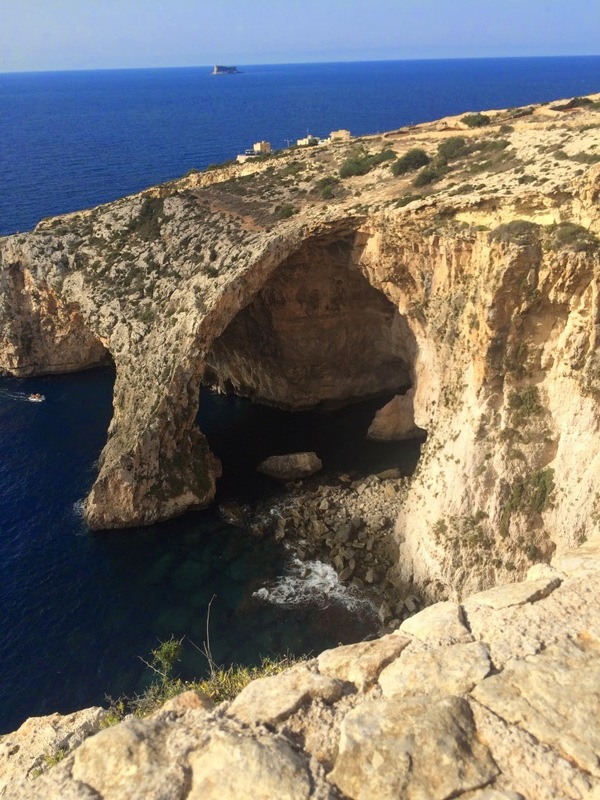 A friend of mine spent fifteen years living on Malta and suggested we see the fortresses of Medina and Valetta, but by time we reached this beautiful place, we had seen so many buildings that we decided to try a different type of excursion, one that kept us closer to the water. 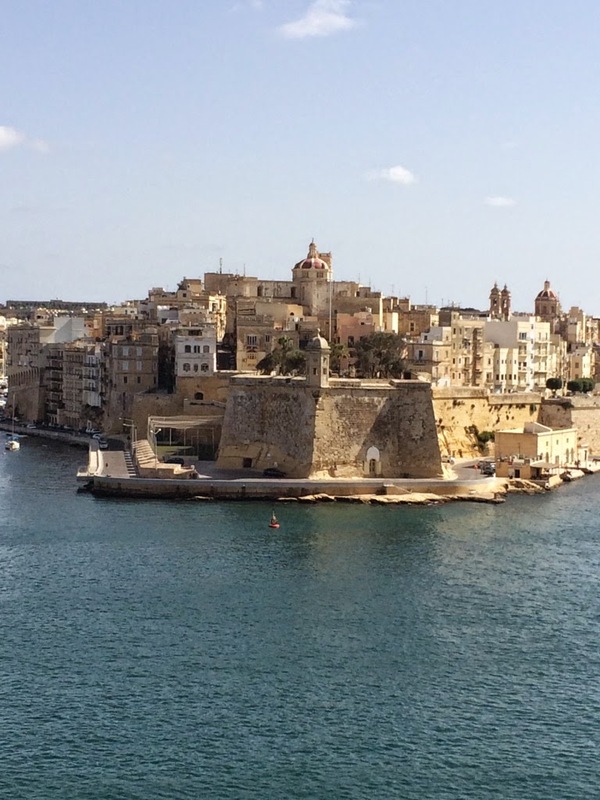 The cruise ship came into port for sunrise and we enjoyed the amazing walled city of Valetta from the sea. Next we boarded a bus and made are way past the only airport to a sightseeing stop. 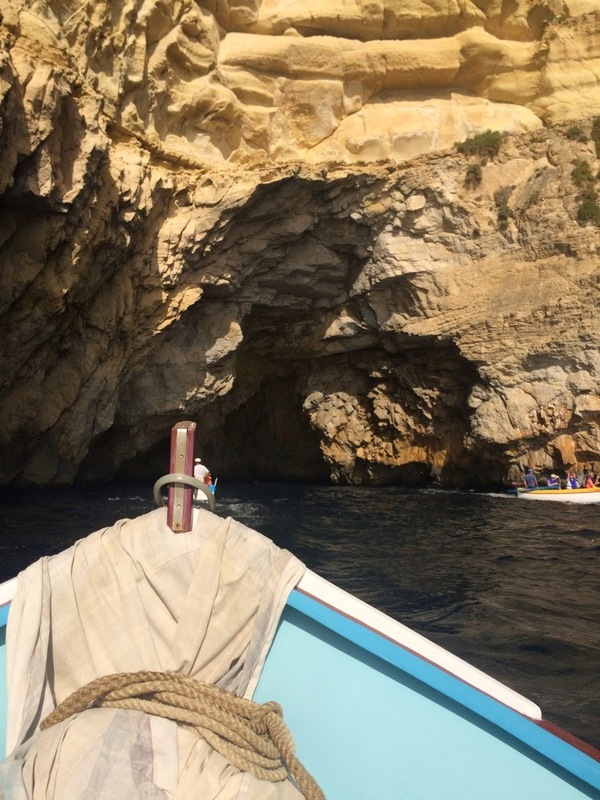 What we didn’t realize was that the sight was the Blue Grotto, the very place we would be experiencing on the water. To be honest, it was a tad intimidating from up above. 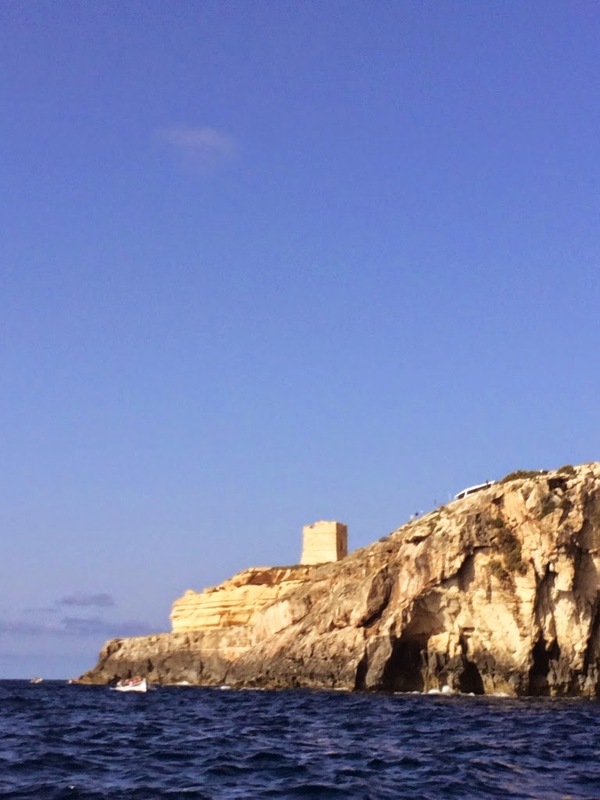 We finally made it down to the little boats and headed out to view the Blue Grotto. 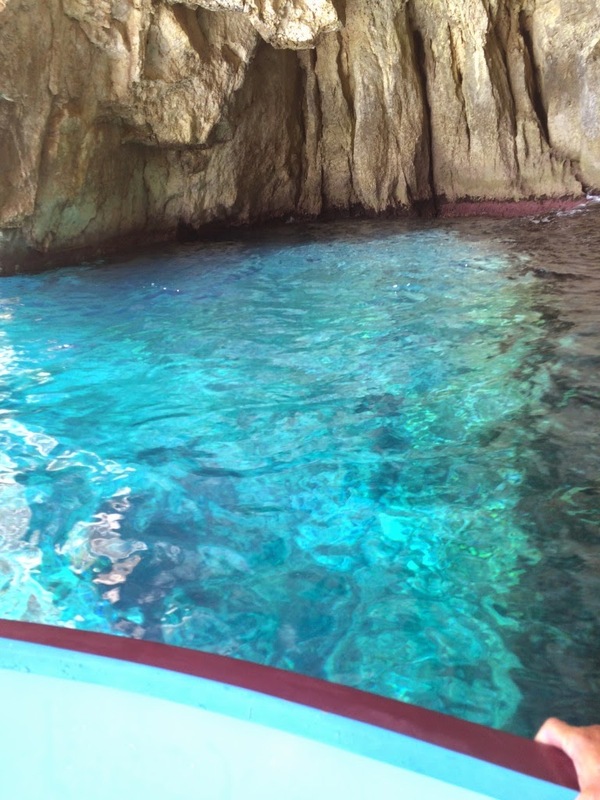 The caves were a bit eerie at first and loomed large compared to our little boat. The darkness though gave way as the sun shone on the water and the blue was spectacular! 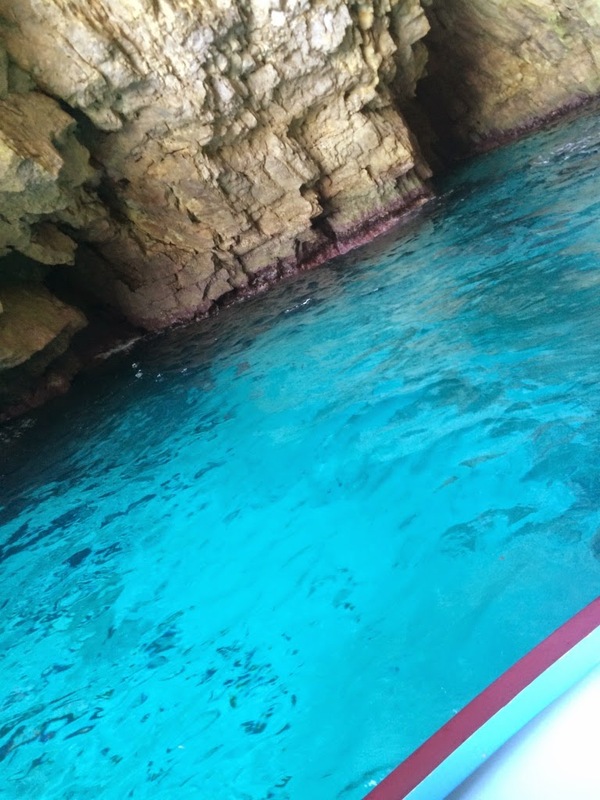 It was like we were boating in a pool! 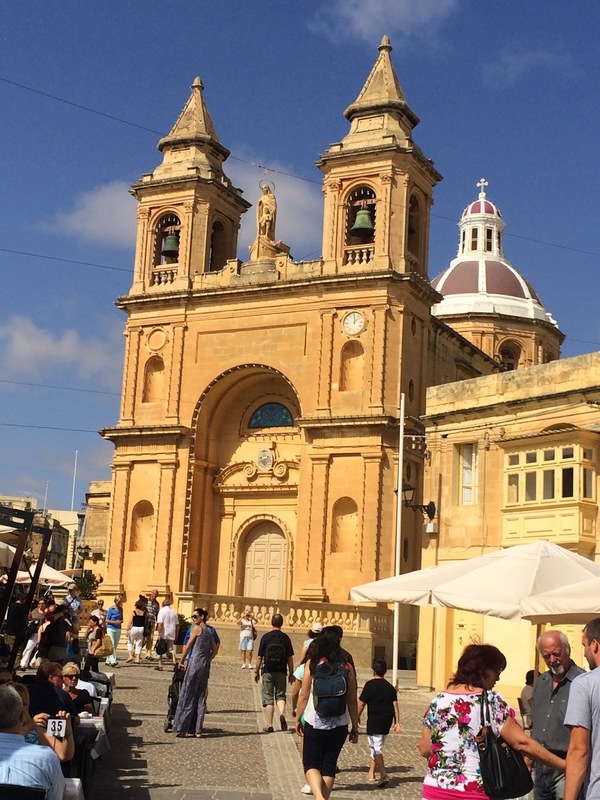 After our water excursion, which we enjoyed immensely, we traveled by bus to the town of Marsaxlokk which was one of two fishing villages on Malta. The day we were there it was the weekly market, but we found this beautiful church more interesting, especially the statue of Mary in a boat that graced the top. We had a bit of lunch and then traveled back to the port. On the way, our guide told us about the many towers we had seen throughout the day. 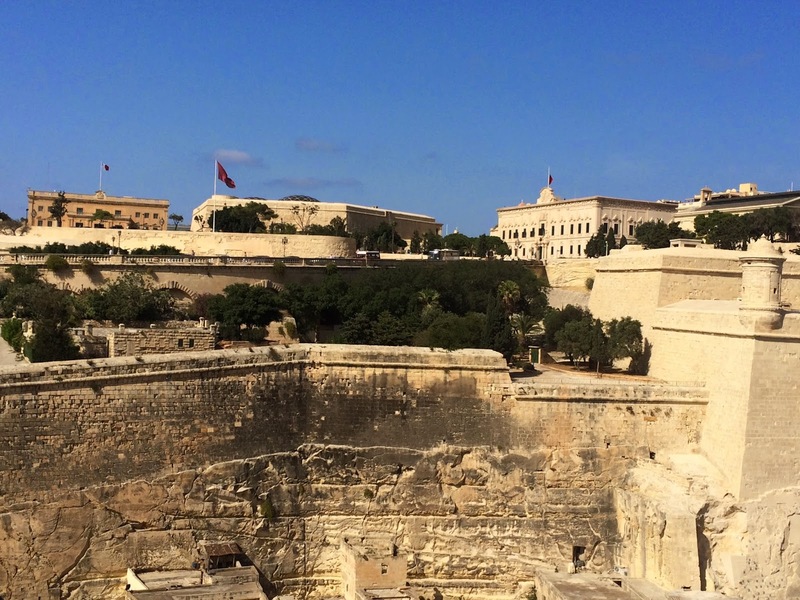 These were the Knights of Malta towers and had been used as look outs. 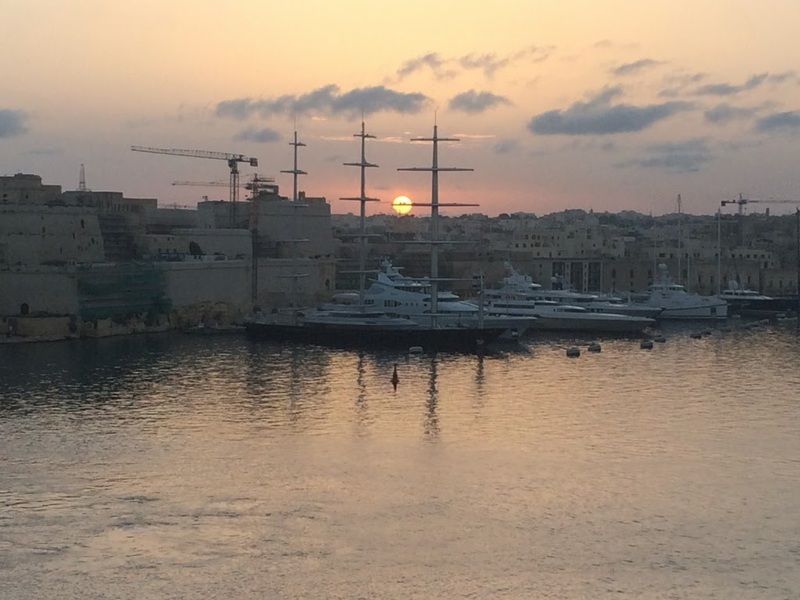 After saying goodbye to Malta, we had a lovely dinner in the main dining room with our usual wait staff who had by the second day come to know our routine. No sooner did we sit down than the wine steward took the wine glasses off the table (we don’t drink wine), the cocktail waitress brought my husband his Jack Daniels and diet, the assistant waiter brought me my pot of tea, and the waitress brought us the menus with recommendations based on what we liked.